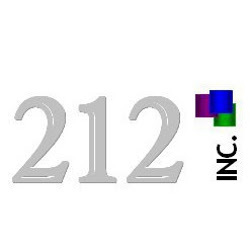 Through continuous development, professionalism, integrity and commitment to our clients, our mission is to set the standard for success in our industry by bringing 212 to the forefront of outsourced client acquisitions. We will expand into multiple cities and campaigns spanning the globe, meet interesting people, travel to incredible places, and quote a lot of movies. A company’s biggest obstacle is the fierce competition constantly developing in the marketplace around them. In the past, to combat competition, our clients have initiated aggressive sales campaigns including concentrated telemarketing and direct mail programs. Unfortunately, these strategies failed to produce the desired results. Companies examined why telemarketing and direct mail were ineffective ways of both acquiring leads and clients and this forced them to rethink their existing marketing strategies, and shift to focus on more innovative ways of acquisition and retention of their customer base. Our Solution: Service with a smile…Our Client Acquisition Team offers a more effective approach to marketing and customer relationship management. Face-to-face marketing brings our clients services directly to potential customers. By utilizing our sales professionals, our clients are provided with the valuable ability to reach and educate potential customers while having their undivided attention.